Trying to work out where to stay at the Blue Mountains? Discover a great selection of accommodation, the length of the Blue Mountains and beyond. Search for hotel rooms and book online. The Blue Mountains is every foodie's dream destination. The towns along the Blue Mountains each have a unique character and charm that make them well worth the visit. Discover a diverse range of experiences and activities in the Blue Mountains. The Blue Mountains west of Sydney is known for its beautiful rugged scenery, its forests, mountains and waterfalls and its quaint mountain villages. Learn more about the Blue Mountains. 336 Evans Lookout Road Blackheath, New South Wales. bluemountains-australia.com is a 'Web Magazine' website that is dedicated to all things related to Australia's iconic Blue Mountains. We are passionate about Australia's great natural wonder, its vast mountains and waterfalls, its incredible vistas, its natural beauty and the unforgettable experiences that are waiting for all who visit. 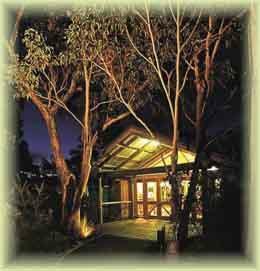 Our aim is to discuss the Blue Mountains, its history, its environment, its wildlife and its spectacular destinations. We hope that this website will inspire all who visit, just as much as the Blue Mountains have inspired us.